If you are a type of person who is a heavy internet downloader or has too much data to store then a 2TB or 4TB External hard disk is an excellent choice to fulfill all your data storage needs. The advantage of having an external hard disk is that they are portable and you can take it anywhere and connect to different computers. Generally a 1TB portable hard disk is sufficient for basic storage needs but if you are a person who downloads gigabytes of data from internet every month in form of games, HD movies, songs etc. then you require an external hard disk in capacities of 2TB or 4TB. If you want to know about how to find a good, reliable and top performing external hard disk then you can find it by going through the link given below. But here in this post I am going to list down the best high capacity (2TB & 4TB) external hard disks for your bulk data storage needs. Here are the best budget 2TB and 4TB external hard disks that you can buy in India. These portable hard disks support high speed USB 3.0 interface, are reliable and has fast read and write speeds. Also all the below mentioned hard drives are 5400 rpm drives. Here are the best 2TB portable external hard disks for your data storage needs. Seagate is one of the most popular names in hard disk manufacturing. It is an American company that has headquarters in California. Seagate hard disks are known all over world for their superior performance and reliability. Here in 2TB portable hard disks segment from Seagate we have Seagate Backup Plus Slim 2TB Portable External Hard Drive. 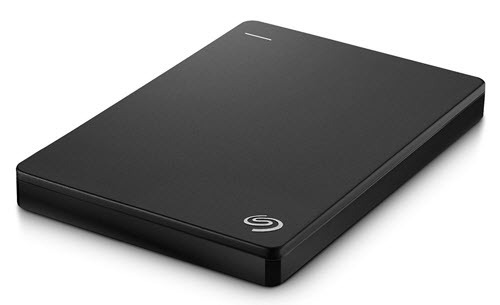 This 2TB portable hard drive from Seagate is slim and has very good build quality. The portable hard disk comes with 200GB of Cloud Storage space from OneDrive, Seagate Dashboard software and Lyve App for managing files and taking automatic scheduled backup. This USB 3.0 external hard disk has good performance with maximum data transfer rate of up to 120MB/s. The actual data transfer rate depends on many other factors that include your computer hard disk and system configuration. So if you are looking for a good, reliable, fast, slim and solidly built portable hard disk then this one should definitely impress you. WD or Western Digital is another big name in hard disk or data storage. It is also an American data storage company. Western Digital has become very popular over the years and is considered as the main rival of Seagate. WD hard disks are known for their features and sheer speed and performance. 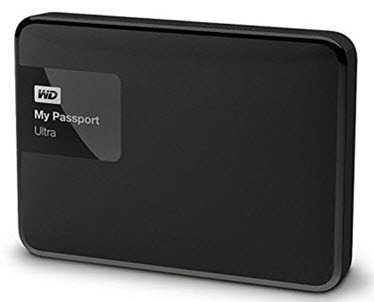 Here from Western Digital we have WD My Passport Ultra 2TB Portable External Hard drive which is one of the best external hard disks that you can find in 2TB segment. 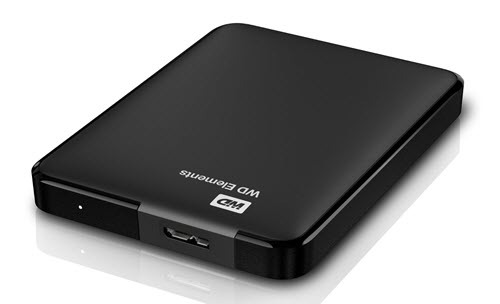 This 2TB USB 3.0 Western Digital Portable Hard disk is strongly built, sleek and comes with its own WB backup software. 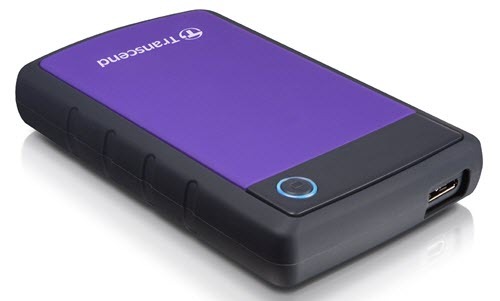 This portable hard disk is fast and can reach data transfer rates of 120 MB/s. The WD software can keep your data safe and secure as by protecting it with password protection and 256-bit hardware-based data encryption. This portable hard drive is also compatible with USB 2.0 ports with reduced speeds. So if you are not a Seagate fan this is the hard disk you should buy for your data storage needs. WD Elements series is the basic and simple hard disk series from Western Digital. This series does not come with hardware encryption and security features but offers maximum performance in both read / write speeds. Here we have WD Elements Portable 2TB External Hard Drive that is a basic portable external hard disk and is meant for users who want maximum performance & storage space and do not care about other features. WD Elements Portable 2TB External Hard Disk can achieve data transfer rate over 130 MB/s and is considerably faster than WD My Passport Ultra 2TB Portable External Hard drive. This portable hard disk has good build quality, is slim and comes with free trial of WD SmartWare Pro auto and cloud backup software. So if you are looking for a budget & simple external hard disk with loads of storage space and blazingly fast performance then you cannot go wrong with this one. Transcend is a popular brand or company that is more famous for its RAM and flash storage devices or pen drives. Transcend also makes some good and robust portable hard disks. Here we have Transcend StoreJet 25H3P 2TB Portable External Hard Drive which is a Rugged and Shock Resistance portable hard drive. This external hard disk comes with Military grade shock resistance which has anti-shock rubber outer casing and advanced 3-stage shock protection system. This external hard disk can withstand major drops and shocks without any issues. Literally this external hard disk is built like a tank but you should note that it is not waterproof. The performance of this tough external hard disk from Transcend is average and well below the other drives in this post. The drive has a unique Quick Reconnect Button using which you can quickly reconnect the drive without unplugging and re-plugging the USB cable. Other features include 256-bit AES file & folder encryption, One Touch Auto Backup button and Transcend Elite data management software. So if you are a casual user and want a strongly built and feature rich external hard disk then this one is for you. Toshiba is a Japanese company that is more famous for its laptops but it also makes high quality storage products. Here from Toshiba we have Toshiba Canvio Basics 2TB External Hard Drive which has good performance and is one of the cheapest 2TB external hard drives in the market. This external hard disk from Toshiba is fast and you can get data transfer speed in excess of 130 MB/s. So if want a basic, simple, fast and budget external USB 3.0 hard disk then you can safely go for it. Here are the best 4TB portable external hard disks for your bulk data storage needs. This is the 4TB version of Seagate Backup Plus portable hard drives. I have already talked about the 2TB version earlier in this post. The 4TB variant of Seagate Backup Plus series is not as slim as the 2TB version but has greater performance over the 2TB one. This Seagate external hard drive is strong and sturdy and comes with 200GB Cloud Storage from OneDrive, Seagate Dashboard software and Lyve App. The maximum data transfer rate for this portable drive is 220 MB/s which is great. 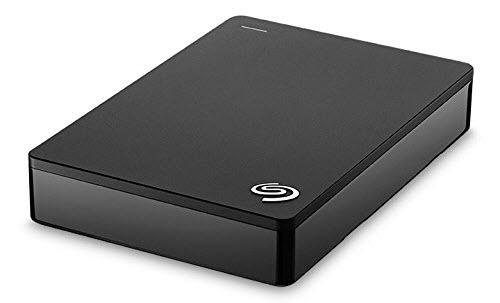 So if you are looking for a portable hard disk with mammoth storage space and fast performance then Seagate Backup Plus 4TB will not disappoint you. A 4TB external hard drive from Western Digital whose design resembles of a book. 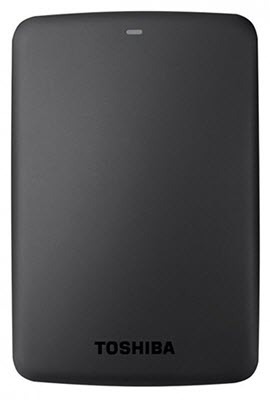 WD My Book Desktop Storage 4TB External Hard Drive is high quality and high performance 4TB portable hard drive that comes with many advanced features. The bad thing about this external hard drive is that it requires external power source. This is because it has a 3.5 inch hard disk in the casing and not the 2.5 inch one found in laptops. The power adapter comes bundled with the hard drive and you don’t have to buy it separately. My Book comes with features that include Password protection & 256bit AES hardware encryption, WD Backup software that can take Automatic backup. The build quality is excellent and also the performance is at par with Seagate Backup Plus 4TB. You can have maximum transfer rate of over 200 Mb/s with WD My Book. The drive runs cool and does not heat up quickly as with Seagate Backup Plus 4TB. So if you are a professional and looking for a reliable and fast 4TB portable hard disk then WD My Book is perfect for your bulk data storage needs. I have listed the best portable external hard disks having 2TB and 4TB storage capacity. All the above mentioned portable hard disks come with USB 3.0 interface and offers very good performance. You can format the above mentioned portable hard disks with HFS file system for compatibility with Mac OS. If you have any queries or don’t know which one to buy then you can ask me by leaving a comment below. Please suggest best Western digital External Hard Disk 2TB model in present condition. I plan to buy a new one… I do not want security features……. You can do it and keep them both. I suggest you to go for Samsung 850 EVO SSD 120GB. Could you please tell to us (Non Technical ) the advantage and disadvantages of Hardware Encryption which WD Element does not have. Is WD Passport have it. In simple terms it means that drive uses password to protect your data from unauthorized use. WD Passport does come with this feature. Which is better? External hdd with power adapter or unpowerd via USB? Any difference – speed or long lasting??? Please tell me your comments sir. I prefer USB powered one because it is more reliable and have greater portability. I am a great fan of your blog. My desktop PC has the following specifications : H81M Gaming 3 , CPU G3240 @3.10 Ghz, 3100 Mhz, 2 Cores, RAM 4 gb, System gigabyte, HDD 1 TB. I am a game bug too. Now for the shake of my heavy FPS game downloading and HD Movies I fillup almost all of my HDD. I need your valuable opinion for purchasing a External Hard Disk Drive. Please comment about Seagate and WD (Western Digital) 4 TB External Hard Drive (with Model Name if Possible) for me. What is the actual gottable memory out of both the hdd ? Go for Seagate because WD one requires external power.